Home Dust Collection Accessories Miscellaneous Accessories Miscellaneous Dust Collection Access. Remotely turn your dust collector on and off from a distance of up to 75 feet! Compatible with 220V-240V dust collectors up to 3 HP. There was no need to program the remote. works great right out of the box. Hooked up our Grizzly dust collector and this is a must have. Love the ability to turn on the dust collector from anywhere in the shop. The remote works as advertised. 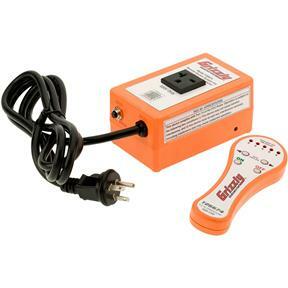 The bright orange color make the remote control easy to locate. It was simple to install. I wish there was a way to hang the power unite to hang on a wall. My only issue with this product is the fact the remote replacement cannot be bout separately. The first one of these I bought, the remote failed. I bought this remote start after using Google to find it after looking at several others. Last year I bought the Grizzly Item# G0562ZP 3HP Double Canister Dust Collector. I wanted to make sure I bought one that would work great and last a long time. I am so relieved that not only does it work great it will receive signal from anywhere in the shop. This remote switch does its job perfectly. I really don't have to point the switch at the control module; it works throughout the shop . The only critique is that there is no easy way to wall mount the control module. Works as advetised, no problems, awfully handy, glad I got it. Excellent product. Set up was easy and the unit function as advertised. I definitely recommend this product. I got this in early June and it is one of the handiest tools that I have. I bought this several weeks ago. It is simple to install and works perfectly! Works as I extended. 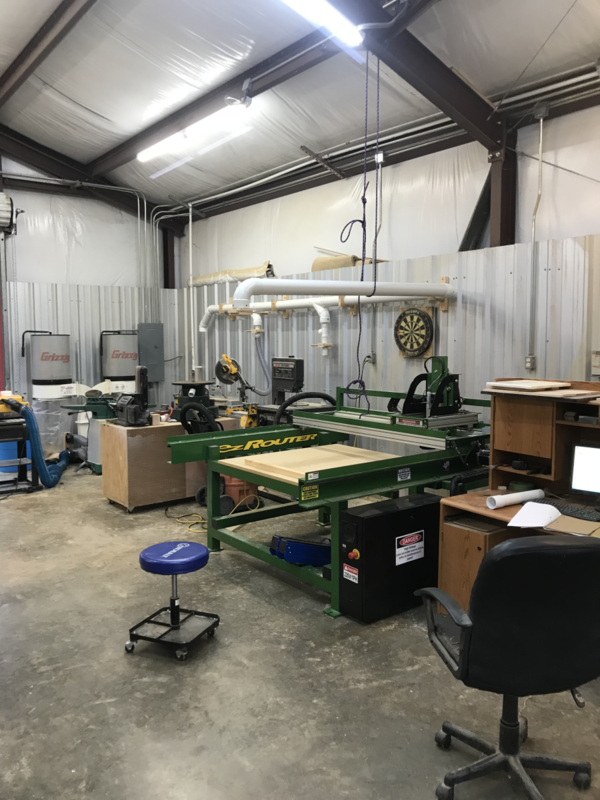 Wood shop is mostly Grizzly power tools, 10 table saw, band saw, 3 hr dust collector, 8in jointer, 15in planer and track saw, all fine working machines. None better for the price. Thank you Grizzly. This remote really works great. Saves me a lot of steps. Highly recommended. The first remote I received was not good. After question months the switch had to be pressed repeatedly and you had to push it down hard to activate it. After several months of this I called Grizzly and asked what could be done. They shipped me a new one, charged my credit card and gave me a UPS certificate to send the defective remote back, then they credited my account once I shipped it back. It was replaced at no net charge. The new remote works great and I am very happy with it. Grizzly customer service is very good. Having troubles with the remote. Apparently in the circuit board. Only 1 year warranty. Have had it for just over two years. Have only filled one bag of sawdust. Remote is priced seperate but will not opt for that expense, over $30 including shipping for the limited time is worked. I purchased this soon after buying my dust collector unit. Like others have said, when the dust collector is across the room from where you are working, often times we dont turn it on if doing a small or short project. This makes it so simple and no excuse not to turn on the collector. I keep the remote hanging on my bandsaw in the center of my work area. It is in easy reach and keeps the collector further away so noise is greatly reduced. Works great, easy to set up as all you do is plug it into the 220v wall plug and then plug the dust collector into it. Already synchronized/connected to the remote and worked perfectly out of the box. Highly recommend this product. Simple plug and play installation. Only drawback is I wish you could have multiple remotes connected to the receiver so I could have a remote at a couple different locations in the shop near different saws, etc. This remote worked very well in my small shop, but the switch box failed after a little over two years of light use. This will help me keep the shop clean and make it easier for me to always turn on the dust collector. The product is as described and works well. The remote seems to be a little flimsy in that the hanging hook doesn't look very sturdy. However, I haven't had it long enough to break it yet. A belt holder would have been nice. However, It works exactly as required and so far, was worthwhile. 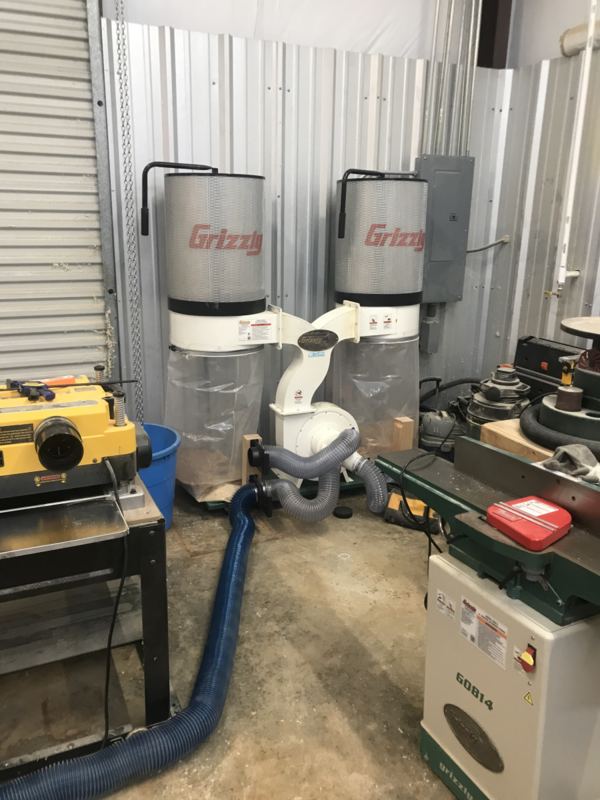 My brother, a semi-professional cabinet maker swears by Grizzly, and so far, I can understand why. I works very well most anywhere in our shop. Actually works better than expected. I put to use the first day and been using it ever since. It sure saves a lot of steps, it beats going back ad forte to turn on & off .really enjoy the use of it. As advertised and I am definitely glad I bought it! Just one push of the button from anywhere in my shop turns my system on and saves me time. Makes it very easy to turn dust collection on and off remotely. This one can handle 240volt 3 hp system. Works very well. I bought this to use with my new dust collector. Since the UPS Freight lost the dust collector - its been missing for a month I havent been able to use the remote. Hope I get the dust collector some day. What a time and step saver. Better than flipping a switch. Product works great, my only complaint is that there is not a hook or latch on the back, or any way to screw one in easily. I lose this thing ten times a minute and would like to be able to hook it on to my pocket or something. It does have a loop at the top, to which I have attached a keychain, which works alright to keep it close. Perfect solution for a shop where tools are all over the place and the switch for the dust collector is in one spot. I just keep the remote in my shop apron and when I need the DC on, I push a button, and then back off again without having to leave the DC running or leaving the tool. Love this. Just installed my dust collection ducting and hooked up my equipment. The first time I stood in front of a saw ready to cut a board and remembered the dust collector was not on, I understood why they make these. I found this remote on Grizzly and it was far less costly than any other I had seen. So I ordered it and hooked it up as soon as it came in. Now when I'm ready to cut a piece of wood, I don't have to stop, put my work piece down, walk across the room to start the dust collector. I just pull the remote out of my apron and push the button and go on about my work. When the dust collector is on and someone wants to talk to me, I pull out the remote and shut the dust collector off. It may sound frivolous but I'm glad I made the purchase. Makes it so much easier when I"m working at the table saw and jointer. Using this with my G0548ZP dust collector and it is working well. Excellent product. The remote has a very long range and is easy to use. In my opinion, the timer feature has no value and just creates extra clutter on the remote. Overall, a good choice to add on to your dust collector. Not happy with this product. Would not buy it again. Bought this to replace brand X remote. Works great and customer support was easy to work with. The first unit had an issue that was ptompty Taken care of. I would buy this unit again and recommend. Needs a 35 amp. push button circuit breaker. My 20 amp cyclone dust collector snapped the 30 amp breaker on start up. I installed a 35 amp breaker and the remote outlet now works great. The dust collector remote works great, its so much more convenient to turn on the collector without having to walk across the shop and bend down to the switch. I had been waiting to find a low-cost 240V model and was very happy when this one appeared. It works great and saves me many steps back and forth to the dust collector. Only 2 things stopped me from rating it as excellent: 1) the switch box does not have any mounting features so you can attach to wall; 2) the remote is large and needs a small keychain or something so you can attach to your apron. Otherwise I love it. Have used the remote for several weeks and found it substantially reduced production time and increased the use of my dust collector. Had it about a month and it works great. I have another remote for another dust collector that cost twice as much and does not work any better. When I purchased this a few months ago I was a little skeptical of the quality. Once I received the shipment and upon opening it I was amazed at the quality and ease of use. I hooked it up and it worked flawlessly. I did not read the part in the instructions that the unit was already programmed from the factory and went and did the programming. After doing so the unit was not responding to the commands. There was a 10 second delay upon start and stop. I thought the battery was weak so I changed it out and still had the same problem.I was about to call Grizzly but decided to try resetting it to factory settings and now it works great. The issue was my lack of reading the entire included instructions. I use it on a older Reliant 2 hp collector and it is GREAT! It works very good. Sure beats always walking over to the dust collector to turn it on. Works great, as advertised. Long range, have tested the limits and I've been on the far side of the shop at 40ft away with 0 dead areas. Worth every penny. Puts the long ranger to shame for 2/3 the price. Works as advertised. Easy set up, nice orange color to spot easily in the shop. Haven't used the timer function, but glad it is there for the times I leave the shop but unexpectedly don't return as planned. This remote works exactly as advertised, I'm using it on a 2HP dust collector. I've never used the timer function so I really can't comment on that. My only complaint is that the On/Off buttons should be larger so that you can easily press them without looking at the remote.